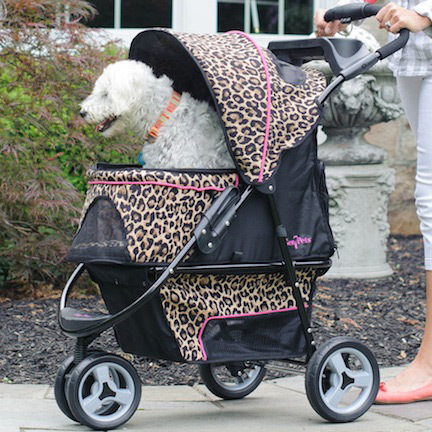 Are you looking for a large pet stroller at a great low price? 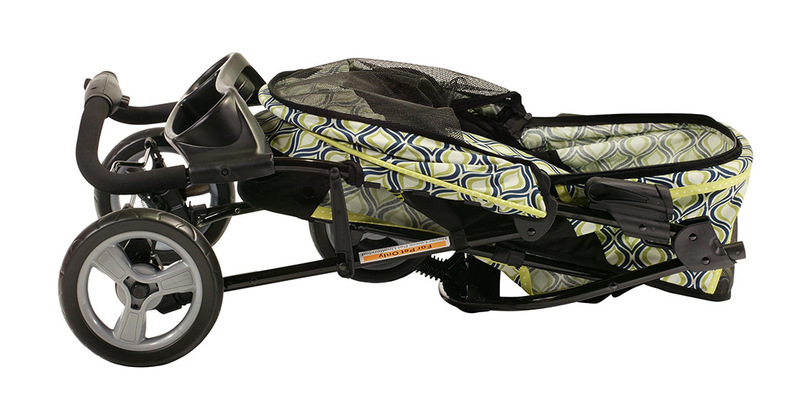 The Promenade Pet Stroller can hold up to 50 Lbs. or a number of smaller dogs or cats. 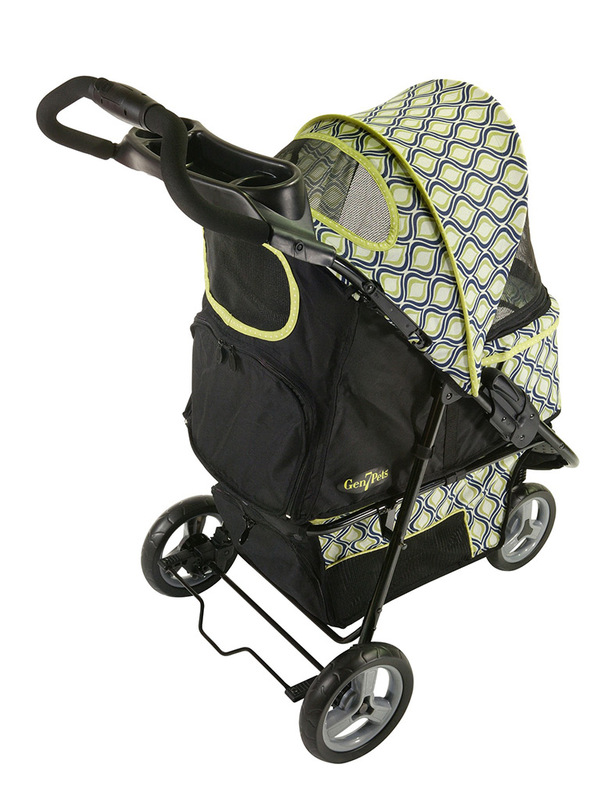 The Promenade Pet Stroller is easy to assemble, easy to fold and easy to clean with a machine-washable poly-filled pad. 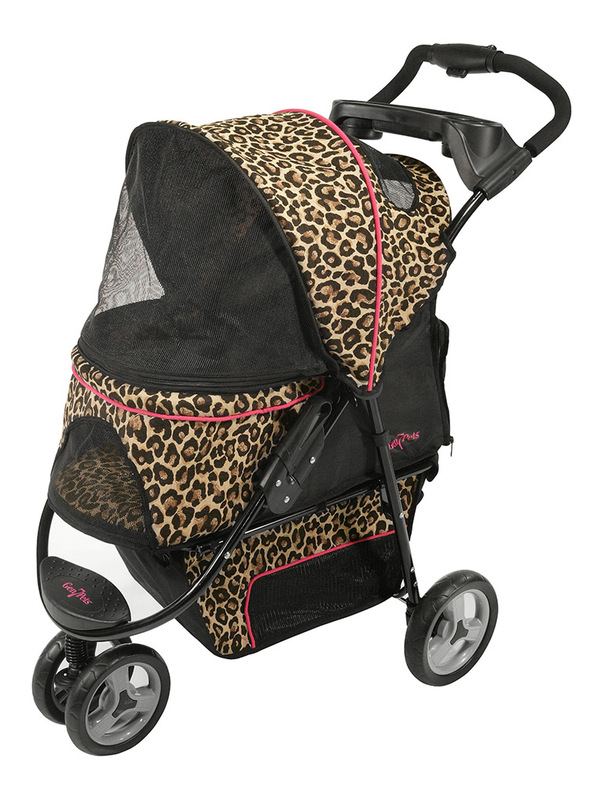 All the features you would expect in a great pet stroller can be found here in this versatile first quality stroller. 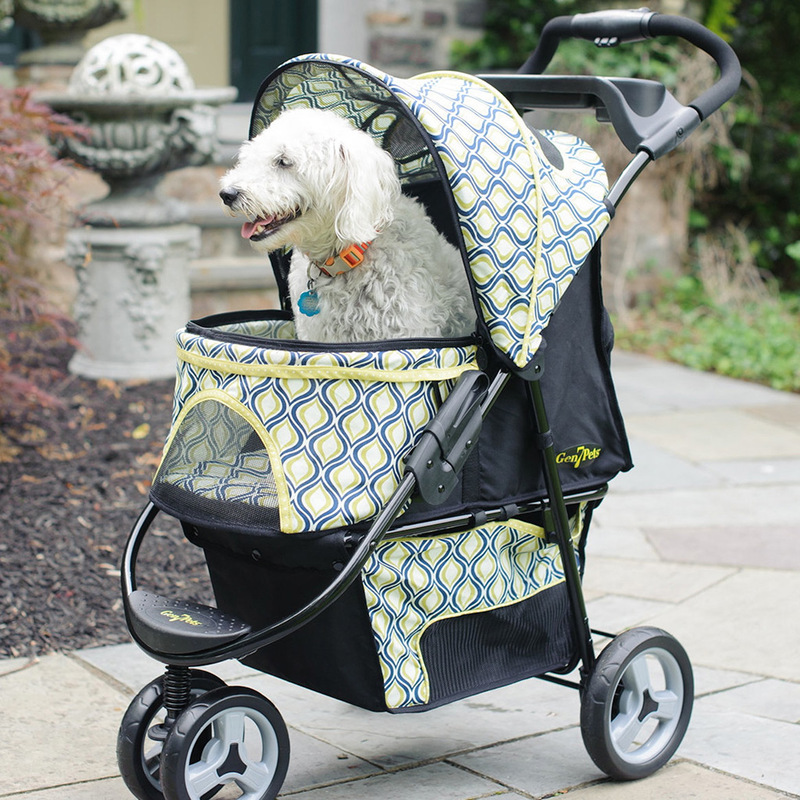 The Promenade Pet Stroller includes four of what we call special Smart-Features™ which will be explained a bit later on. It also includes tons of other great features which specifically address pet owner convenience and pet comfort too. Enjoy the all-terrain front convertible wheel, the handy accessory tray with two cup holders, and the hidden front steel bar that provides a safe enclosure. This great stroller is so easy to assemble. It’s easy to fold down for storage or transport. SMART CANOPY - The Smart-Canopy™ folds up under the canopy hood not in the pet compartment. This gives your pet more space. SMART-REACH - The 40" Smart-Reach™ handle offers the pet owner a greater amount of space for walking at any speed. 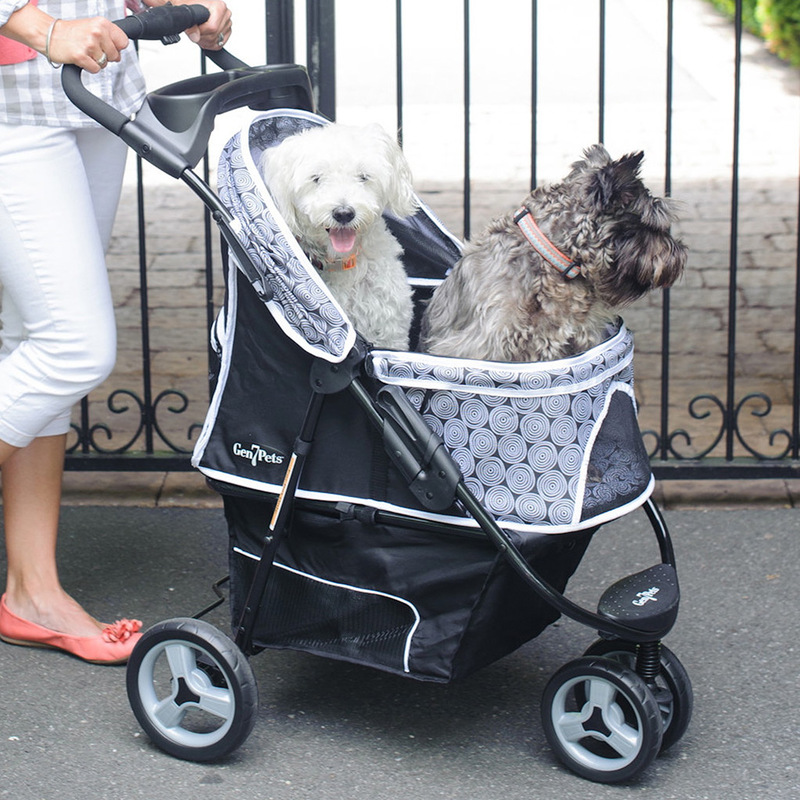 Compare with other pet stroller designs and you will see the difference. SMART BASKET – Our Smart-Basket™ safety design conveniently stores your belongings secured out of sight with a rear zipper for easy access. SMART FOLD – Our Smart-Fold™ design allows the pet stroller to be folded easily using the button conveniently located on the handle. A very light 15.5 lbs. SMART-COMFORT™ PAD makes your special pets feel like royalty!